Within the framework of AGIT 2010 and the international GI-Forum - held at the same venue - we are offering a fully fledged three days track themed around geoinformation in education. This is a bilingual conference with German- and English-language sessions. 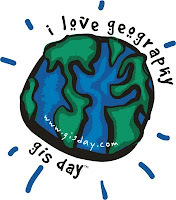 "Geographie und das wirkliche Leben", unter diesem Motto bietet Ihnen auch der heurige GIS-Day am 18. November im Techno-Z Salzburg ein interessantes Programm für Ihre Schulklasse! and extended abstracts for discussion sessions: February 1, 2010.
extended abstracts for poster presentation: June 7, 2010. Accepted full paper submissions will be published by Wichmann Verlag as a book. Extended abstracts for discussion sessions will be acknowledged in the proceedings. "Analysing, mapping and evaluating spatio-temporal water scarcity problems"
The International Winter School Water Scarcity is dedicated to the theme of "Analysing, mapping and evaluating spatio-temporal water scarcity problems" and is hosted by Salzburg University's Centre for Geoinformatics. In a set of lectures, group work and practicals the course focuses on the climatological, hydrological and socio-economic processes and functions inherent in landscapes across Europe related to water scarcity. Participants will gain an overview of planning procedures (data acquisition, data preparation, data processing, and result interpretation) and acquire skills to apply the respective theory. They will learn how to implement an early warning system against water shortage based on existing operational methodologies (e.g. Meteorisk) and to characterize main anthropogenic and naturally defined surface water and groundwater systems. Participants will be guided from "simple" discipline oriented approaches to more sophisticated multidisciplinary, holistic methods aiming at an integrated assessment of water management and planning. Registration starts on October 1, 2009. Applications are accepted until December 31, 2009. Due to limited places we strongly recommend an early registration!